•The block is an engineered building product that sets you free from routine use for external and internal walls. It offers a wide range of thickness. And also it satisfies the strength requirement. We are engaged in offering a wide range of Concrete Solid Blocks that is widely acclaimed amongst the clients for their phenomenal range. These products are known for its steady performance. Size: 16" x 8" x 4"; 16" x 8" x 6"; 16" x 8" x 8"
Size (inches): 400 MM X 200 MM X 100 MM, 9 In. X 4 In. X 3 In., 9 In. X 3 In. X 2 In., 12 In. X 4 In. X 2 In. We are involved in offering a wide range of Solid Blocks to our most valued clients. Our range of Blocks is widely appreciated by our clients which are situated all round the nation. We offer our range of Solid Blocks at most affordable prices. - Size : 100 x 200 x 400 min wt. : 17 kg. 150 x 200 x 400 mm wt. : 26 kg. 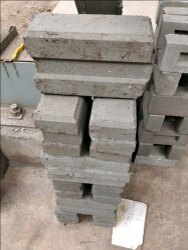 These are primarily used as load bearing blocks besides being well suited for general building works. These blocks are solidly compacted, weigh more than others and have a very long durability. Rectangular Solid Block, Size (Inches): 9 In. X 4 In. X 3 In. 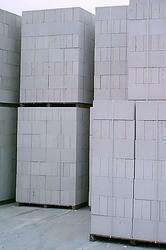 We are offering Concrete Solid Blocks to our client and our product is made of good quality.